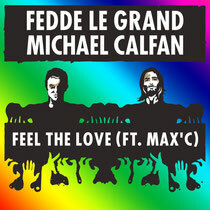 Now just weeks on since giving away a free and exclusive version of his latest release - featuring the vocals of Max’c - Fedde Le Grand recently dropped the official video to accompany the track. Full of flashing images, imaginative cartoons, and plenty of provocative imagery, the new video portrays a fine line between a bad nightmare and a party that nobody would want to miss. Featuring zombies, floating eyes, menacing hands interspersed with bright colours and groovy partygoers, the video takes you on a journey that perfectly supports the twisted energy and movement of the music. Alongside the new video, Fedde is also running a ‘Feel The Love’ remix competition, with the winner given the chance to polish up a solo track with the help of Fedde himself - to then be released on Fedde’s own label Flamingo Recordings - this is an opportunity to work with the Dutch producer. All you have to do is download the stems from this link and enter your remix by posting a SoundCloud link of your finished track in the comments section of Fedde’s “Official Video” Facebook post, here. The most liked 10 will enter a shortlist that Fedde will hand pick his favourite three from.